There are many examples of how virtual reality can be used. From games and entertainment to education and training, VR is quickly becoming a new tech within several industries. Even hospitals and medical centers have started implementing virtual reality into their practices to improve medicine and patients' well-being. LCP360 has worked with medical centers in the past, such as Freemont Health and Advocate Health Care, to produce virtual tours of maternity wards and rehab centers. 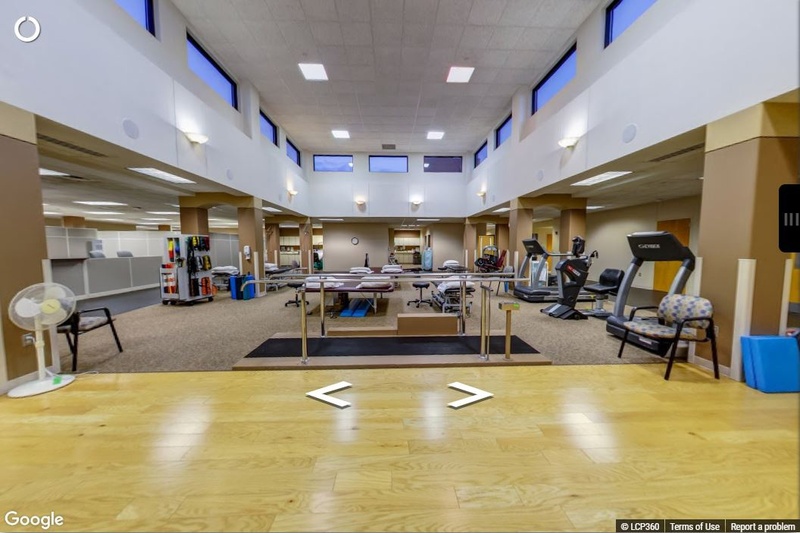 These medical providers post their virtual tours on their website viewable to anyone. Our in-house 3D team can visualize a space prior to its completion. Here is how virtual reality will launch the medical field into the future. Many have seen virtual reality headsets be used for games and entertainment. Virtual reality goggles can be the ultimate distraction from everyday life. Individuals can watch Netflix in their own movie theater or on the moon. People can view their photos in a virtual art gallery or sit down and play a quick space game. But none of this is new. One function of virtual reality is treatment with rehabilitation. VR is assisting patients conquer balance and mobility problems resulting from stroke or head injury. VR is changing how people grasp the world and gain confidence after practicing in the virtual universe. VR has increased patient rehabilitation productivity and reduce pain and anxiety. Virtual reality is the ultimate distraction from the real world. During chemotherapy, cancer patients may distract themselves from the pain provoked from the chemotherapy. VR can help with the elderly and child patients reduce anxiety from staying multiple days or weeks in the hospital. With VR long-term patients can plunge into the deep ocean and swim with whales or launch into space and view the surface of Mars. Even burn patients will benefit from VR technology with games or videos of water or ice landscapes distracting from the pain caused from burn treatments. Probably the most important factor in VR and the medical field is how staff and patients an educate themselves or others. With VR, medical staff can learn about body functions in a whole new way. Users may operate a virtual heart and take apart and tour the inside of a human heart to learn or train in a way that few have been able to visualize before. Doctors and surgeons have already implemented virtual reality in pre-operation stage. VR in the preparation stage of intense surgeries has reduced the amount of surprises surgeons and nurses come across while operating. Also, doctors have been able to determine the correct pacemakers in heart procedures. This requires 3D modeling. VR can also allow virtual tours of the hospital. A trend in the hospital business is families determining which hospital maternity ward to choose from. There are many hospitals with extensive maternity wards with up to date delivery rooms and relaxing patient suites. It is hard to choose where exactly to take your medical needs and VR makes it easier. 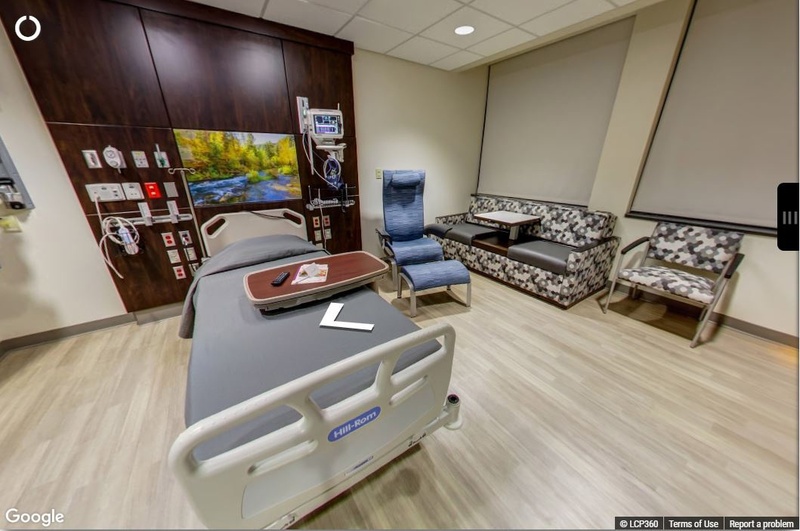 With 360° photos and virtual tours, future patients can view multiple rehabilitation center or maternity wards from the comfort of their couch. Future mothers especially can virtually tour many hospitals to see where the best option is for their delivery. Future nurses and doctors may also use VR to help them choose where to bring their practices without having to travel to view the operation rooms or hospital wings in person. VR can save a lot of time and money on travel with the help of virtual tours when posted right on Google. 3D renderings can help hospital developers market their medical centers before they are built. 3D modeling can help people imagine the look and feel of a future medical center before the end of development. This can help attract star doctors or nurses and bring them to a new medical center or medical educational buildings that aren’t built yet. 3D models can also help doctors view organs or bodies in virtual reality. They can educate or plan procedures with VR and 3D modeling. Taking apart a virtual body and examining it in VR will help staff view from a whole new world point of view. It is amazing that medical staff have been able to perform from a whole new point of view. A whole new reality. One day it will be possible for doctors to perform practice surgeries in virtual reality. One day it will be possible for nursing students to learn and practice. X-rays and medical files could one day be viewable in 3D virtual reality. There are endless possibilities in the medical field for VR uses. Technology can help motivate important industries such as medical to advance their use of technology in practice. The possibilities are limitless.